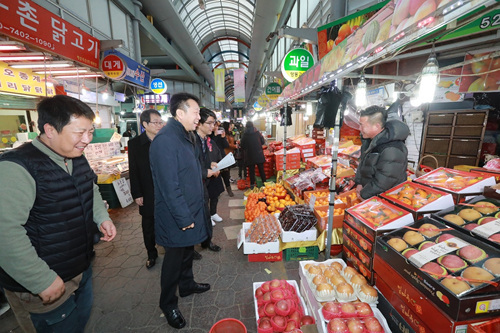 PPS Administrator paid a visit to the 'Taepyeong Traditional Market', based in Deajeon City, to purchase care packages for residents at a welfare facility in January 30, marking the Lunar New Year's Day. 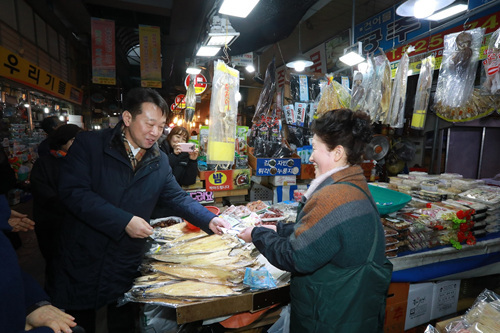 Afterward, he handed out the in-kind gifts to people with severe disability at Hanmom* during his visit to the facility. PPS grants 5 welfare facilities including Hanmom with care packages on a yearly basis by the time the two large national holidays come near.